Whatever the lighting or electrical product required, Inter-Global puts a world of experience and expertise within reach. Since 1967, we've supplied the finest quality products for the OEM lighting and electrical market—and at globally competitive prices. Inter-Global boasts over a forty-year history of innovation and new product introductions. In fact, we've been awarded numerous patents for many of our industry-leading innovations. Our team of engineers and designers works with customers to transform a rough idea into a finished and functional product. In addition, Inter-Global assists companies with re-engineering existing products and taking advantage of available new technologies. 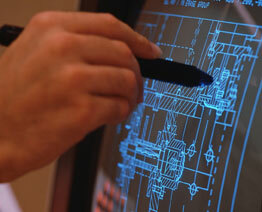 We'll apply our engineering expertise to enhance a product with advanced features and the latest technologies. Plus we'll search for the most cost-efficient methods to manufacture client products—all without compromising our commitment to quality. When it comes to product certification, we're here to help streamline the process and make it easier for clients. Inter-Global has extensive experience submitting products for evaluation and navigating the multiple steps needed for various certifications. In fact, on a daily basis, our company works with Energy Star, UL, ETL, CSA and CE, so we are up-to-date on their most current standards and procedures. Depending on the final product's specified material, Inter-Global offers wide-ranging expertise in multiple tool-building categories including injection,injection-blown, extrusion-blown, die cast, sand cast, and metal stampings. Thanks to our in-depth experience in product manufacturing, we have a solid technical grasp of materials and how to best utilize them in production. Brass, aluminum, steel, copper, acrylic,polycarbonate, polypropylene, and glass are just some of the materials within our scope of expertise. At Inter-Global, we operate several manufacturing facilities worldwide. Each factory offers its own area of expertise, so we can provide better service and efficiency in production. Our goal is to combine our factories' strengths into a finished good manufactured exactly to client specifications. Every product competes to stand out on the store shelf—that's where Inter-Global can help with expert packaging and graphic design. We realize quality packaging and marketing materials are essential to successfully differentiating and promoting product. From spec sheets and catalog pages to product photography, our in-house creative department can help customers develop a comprehensive package of marketing tools to more effectively support and sell their product. Inter-Global also stands ready to assist customers with a complete range of importing services, including freight forwarding, tariff classification, customs filing, as well as local delivery to customer destinations. After four decades in the business, we've gained the firsthand knowledge, infrastructure and expertise needed to import containers at competitive prices. Our company was founded on the core belief: "If we don't take care of our customer,someone else will." For that reason, we strive every day to fulfill our promise of performance,dependability and uncompromising service in everything we do—to earn the trust and appreciation of every customer we serve worldwide. The bottom line? From customer service and product development to manufacturing, certification, design and importing services,Inter-Global puts a world of experience at your fingertips—and can make a world of difference in your success!